Andrew Greenwood once dreamed of creating films just like his favorite movie, “Seven Samurai.” Instead, he found himself in a position he had never anticipated: Berkeley’s chief of police. Berkeley City Council adopted a resolution Tuesday approving a loan of up to $800,000 to City Manager Dee Williams-Ridley. Berkeley City Council appointed Berkeley Police Department acting Chief Andrew Greenwood to the position of permanent chief of police at Tuesday’s meeting. On Friday afternoon, the Berkeley Police Department spoke with community members over coffee — sans donuts — in an effort to open communication between the police and the community. 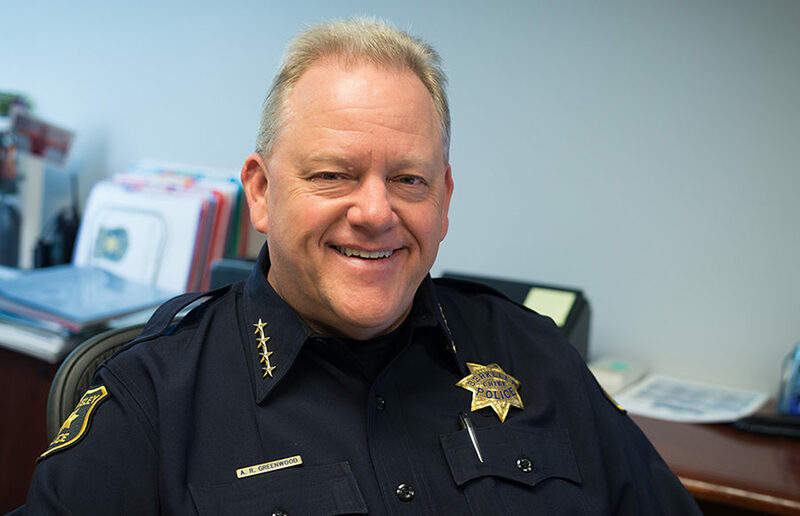 Berkeley Police Department Chief Michael Meehan resigned Tuesday amid internal and public criticism of his departmental leadership. After more than six years as the chief of Berkeley Police Department, Michael Meehan is under serious scrutiny from his officers, with recently published emails detailing the extent of the department’s frustration. At a Tuesday special City Council meeting, the Berkeley Police Department’s command staff updated the council on its plan to implement a body-worn camera program for officers. In light of an uptick in violent crime in the city, UCPD announced Wednesday the campus’s adoption of Nixle, a tool that alerts users about threats to safety in their area. The annual city crime report was presented at a special city work session Tuesday and detailed a trend of increased crime rates in Berkeley last year.